Nikonians Academy Director Mike Hagen has good news for Rick Hulbert fans. Back by popular demand, Rick will be leading his Urban and Street Photography Workshop 4-day workshops in two North American cities next year. He'll be in Seattle in March and Chicago in September. Both of these downtown venues offer outstanding and varied hands-on shooting opportunities. While the illustrated lectures will give you the fundamental information you need, you will spend a significant portion of the workshop in the field, with hands on photography. 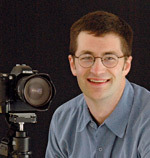 Rick Hulbert will also give daily constructive critiques of your own selected images, which is a key part of the learning experience. There is no requirement for fancy equipment. Any and every brand of camera will work, so we strongly encourage participants with Canon, Sony, Fuji, Leica and other camera brands to attend. The principles taught will also apply to point and shoot cameras, new mirrorless cameras, and yes. . . even camera phones! Take a look at attendee testimonials from Rick?s past workshops. To guarantee your seat (along with only 9 others available) register here for Seattle or here for Chicago. 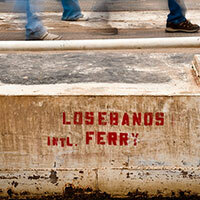 Traveling to an exotic international location with a small, dedicated photography group is truly a joyful experience. Mike Hagen works hard to make his photo adventure trips excellent on all levels. Obviously, he takes you to the most beautiful and awe-inspiring locales on earth, but he pays extra attention to everything else like transportation, logistics and food to ensure the trip is efficient and fun. Speaking of food, he always places a premium on providing excellent meals. a point to eat at nice restaurants or provide private chefs who prepare flavorful and robust meals each day. of us. In every case, they do!" His goal is to help you create amazing images of your trip. He wants you to be proud of the work you create and wants you to be able to show off your images to friends and family so they are able to experience the scene just as is they were there with you. Mike Hagen's trips to Iceland and Galapagos sold out last year, so he has added a total of four international trips in 2016. Feel free to contact him him directly if you have questions. 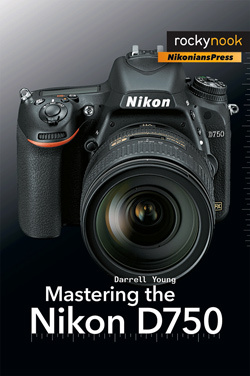 Or, head over to www.nikoniansacademy.com to read more about these international photo adventures. Nikonians Academy Director Mike Hagen has been fine-tuning the 2016 curriculum and he's sent us two suggestions for our Academy Spotlight. One is for the Spring version of the Annual Nikonians group event of the year and the other takes a very small group of members all the way to Africa. The 16th Annual Nikonians Photo Adventure Trip (ANPAT) in the Spring is now booking and the destination will take participants to the northern California and southern Oregon coast. This is a unique location known for massive redwood trees, sea stacks, scenic fishing villages and wonderful coastal scenes. It will be the first time Nikonians have organized a group visit to these areas. For your comfort, participants will be driving in 15-seat passenger vans, occupied by a maximum of 8 Nikonians each, leaving plenty of space for camera bags and tripods in their daily runs. Members will be staying two hotels, right on the beach, to minimize long haul driving. Any questions? - We also have a 16th ANPAT in the Spring FAQ post available. 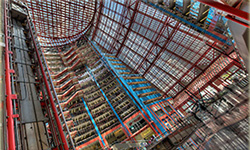 Mike Hagen will be taking 11 members to one of his favorite photography locations next month. The 2015 Africa photo adventure is sold out with only a waiting list available, but he's already set the groundwork for his African Photo Safari, Tanzania - November 2016. "We'll be photographing the Serengeti, Ngorongoro Crater, Lake Manyara, Tarangire and at private luxury tent camps throughout Northern Tanzania. 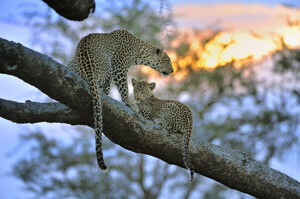 All with private Land cruisers, professional wildlife guides, catered meals and excellent accommodations. Yes, it is a long ways off, but start planning now for the trip of a lifetime! We are limiting the size to 12 participants and this number includes your Tour Leader. One of the best aspects of this trip is that we are only allowing three photographers per vehicle. This means that each person will have an entire row to themselves with one seat for their camera gear and the other seat for themselves. There will be plenty of room to move around and everyone will have perfect access to all photo opportunities." Nikonians Academy Instructors are preparing for photo adventures in Maine and California, USA. Both destinations feature track records as Nikonians community favorites and both are led by instructors who have the distinct advantage of being intimately familiar with the terrain. Les Picker leaves for his sold-out Acadia National Park workshop this week (October 15). We are looking forward to seeing the incredible photographs from this workshop to one of the east coast's photographic jewels. Les Picker's next trip is scheduled for February 2016. 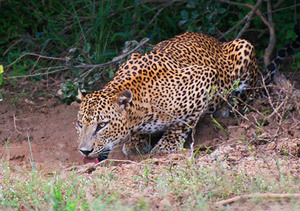 His photo workshop to exotic Sri Lanka is the perfect blend of wildlife and culture. This is a 12-day (11-night) exploration of the unparalleled photographic possibilities on an island nation located off the southernmost coast of India. Sri Lanka is replete with some of the oldest Buddhist and Hindu temples in the world (many still in use), some of the friendliest and most photogenic people on Earth, and wildlife that rivals Africa's best locations; all at a fraction of the cost. One of the highlights of the tour will be spending two days (four safari treks) in famed Yalla National Park, which boasts the densest wild leopard population on earth, along with bull elephants, crocodiles, water buffalo, monkeys and an incredible variety of colorful birds. We will also do safaris in two other National Parks famous for their wild elephant populations, monkeys, crocodiles, colorful birds, and other wildlife. Michael Mariant's Yosemite in Winter workshop scheduled for February 2016 is set to be an incredible adventure in this land of granite spires and stunning landscapes. Few photographers know Yellowstone better than Michael Mariant. Since he knows the place so well, he's able to get photographers into the right place at the right time for unique images they'll be proud of. This workshop will focus on the numerous locations in the Yosemite Valley that are complemented by the snow season as well as timed for one of the few rare scenes in Yosemite that happens only once a year for about 10 days in only the perfect conditions: the backlit illumination of Horsetail Fall by the setting sun, called "The Firefall" as immortalized by the original 1973 Galen Rowell photo. All three sunset opportunities of the workshop will devoted to capturing this elusive visual phenomenon. 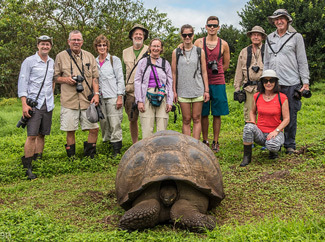 Mike Hagen just returned from a wonderful photo adventure to the Galapagos Islands. "Wildlife photography this year was the best I've ever seen it in the Galapagos. We had hawks and owls posing for us just feet from our lenses, land iguanas in beautiful light, and sea turtles around every corner. We snorkeled with sea lions, marine iguanas, penguins, flightless cormorants, reef sharks, and manta rays just about every day. I can't wait to go back again next year." "We had such a great time together. Everyone had a blast photographing, supporting each other, learning photography, and enjoying the adventure." Mike's 2016 international photo workshops are posted on the Nikonians Academy schedule and ready for signups. 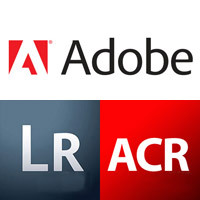 Our members can now download the newest version of our Mac-based image uploader. The Nikonians Uploader is an application allowing you to easily upload images to the Nikonians galleries directly from your Mac by simple drag and drop functionality. 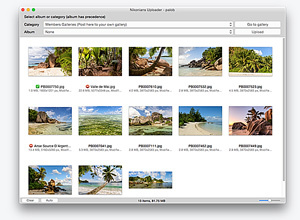 The new Nikonians Uploader v1.2.0 works on Mac OS X Lion (Mac OS X 10.7) and later up to and including Yosemite (10.10). - Reworked metadata editor to allow data persistence. 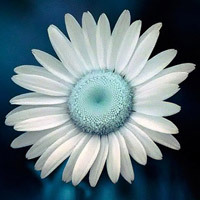 It is possible to upload new images before previous batch was finished and all your edited changes are preserved. The same applies also to closing the application and starting again. Silver members and higher can download it for free from Nikonians directly, whereas others can buy the uploader through Apple. If you are not on Silver membership (or higher), the Uploader for Mac is available through at the Apples iTunes App Store for $9.99 US Dollars. Check for details in our Nikonians Uploader Wiki. Nikonians Contest Coordinator David Summers (dm1dave) has posted the results of the August contests. Congratulations to our winners! Our member driven contests are unique in many ways. 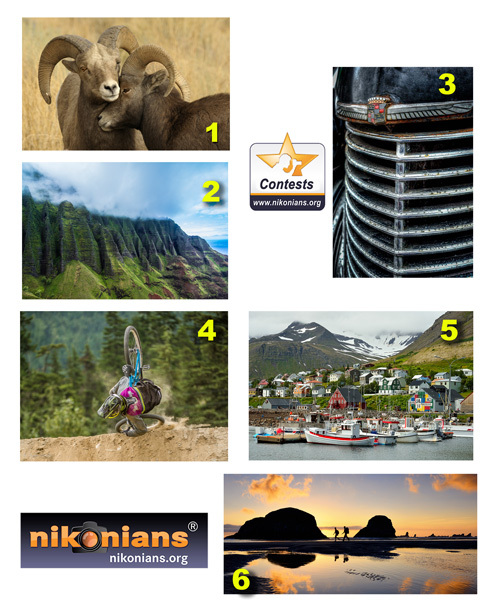 Unlike most other photo contests the workings of our contests are transparent. Your fellow members choose the monthly themes, all entries are visible to the entire community as they are posted and you are the judges not an invisible behind the scenes "expert." 1. ? Wildlife "Friendship In The Wild" theme winner Michael Kawerninski (qanik) from British Columbia, CA with his entry titled Rams near Spences Bridge BC. 2. ? Landscape "Geometry in Nature theme winner Keith Manning (kamf0t0), from New York, USA. With his entry titled Na Pali Geometry. 3. ? Macro "Nostalgic Items" theme winner Godofredo Baylon (GBaylon), from California, USA with his entry titled 1940 Caddy. 4. ? Sports "Wipe Out" theme winner Stephen Hindley (tembo), from Dubai, AE, with his image titled Landing Short. 5. ? Travel "Harbours and Marinas" theme winner Gary Paige (jazzdoc), from New York, USA with his image titled Siglufjordur fishing village. 6. ? 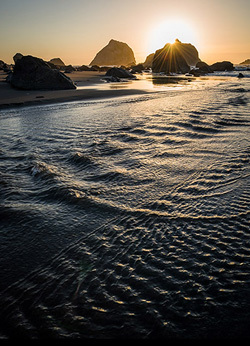 Assignment "Trekking on the Beach" theme winner Darryl Hodson (skibreeze7), from Oregon, USA with his image titled Backlight ? Reboot.